This artichoke salad with goat cheese combines some of my favorite spring flavors into one gigantic, simple salad! 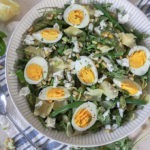 This spring salad is jam-packed with some of my favorite spring produce and is a perfect salad for a springtime grill up, picnic or springtime party! I just wanted to take this moment to tell you guys that I had THE most blissful weekend this past weekend! For the first time in a long time, I didn’t have a crazy list of things to do, and the weather was actually just perfect! On Saturday we chilled at home, cleaned the house and I made a big batch of hot cross buns for the blog (coming Thursday!). We walked Archie early, got coffee then went out for some drinks with our friends. Then Sunday we went on a 2 hours hike with Archie and some other friends with an 8-month-old Border Collie pup! Archie had an absolute blast! We are working really hard on recall with him and he did…ok. He was much better off the beaten path where there were fewer doggos but bolted on us a few times to go sniff some butts which we weren’t overly impressed with! He also went swimming for the first time and seemed to love it! I spent Sunday afternoon chilling with Adam and making a new version of this artichoke salad for you! Amazing how a bit of sunshine can just make everything seem better! 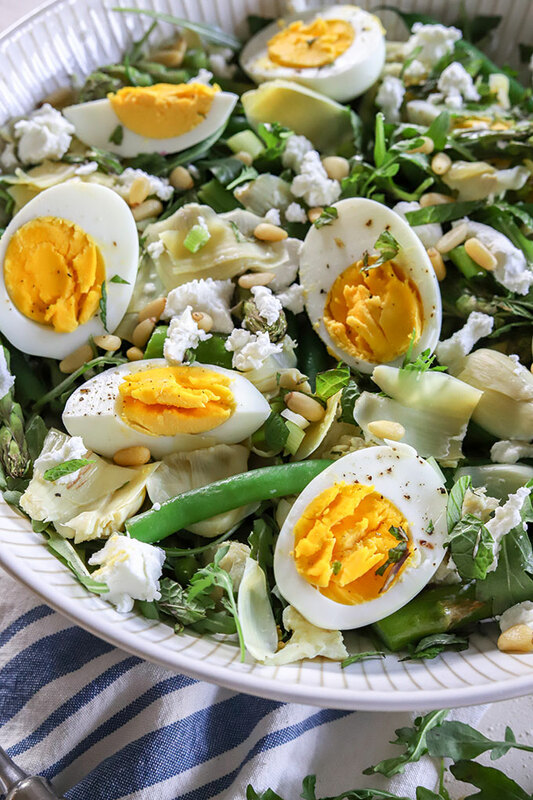 I have named this artichoke, bean & goat cheese salad ‘spring salad’ because it celebrates all the amazing spring foods that are out at the moment. 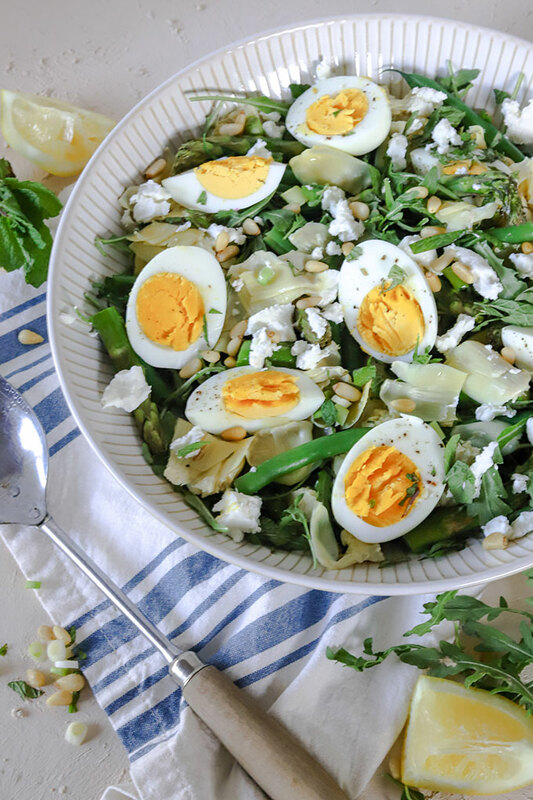 Artichokes, lemon, asparagus, beans, green onions, fresh mint, eggs, goat cheese…and that’s about it. 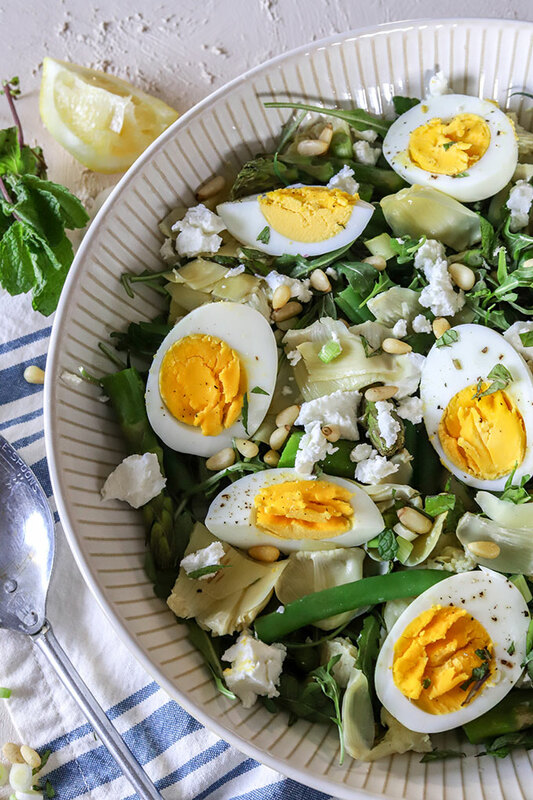 To me, this artichoke salad screams spring and makes me SO excited for the warmer weather to come! On that note of flavors, this salad is seriously got some awesome flavor combinations. I love the saltiness that the artichokes bring out, combined with the creaminess of the goat cheese and zing of the lemon dressing. On top of that, you have the licorice flavor of the arugula/rocket and the crunchiness of the pine nuts. This time around I added some hard boiled eggs for extra protein and because I think they just make the salad SO pretty! This artichoke salad would pair perfectly with our salmon burgers or a piece of steak with chimichurri sauce! Any protein really, this salad is very versatile! 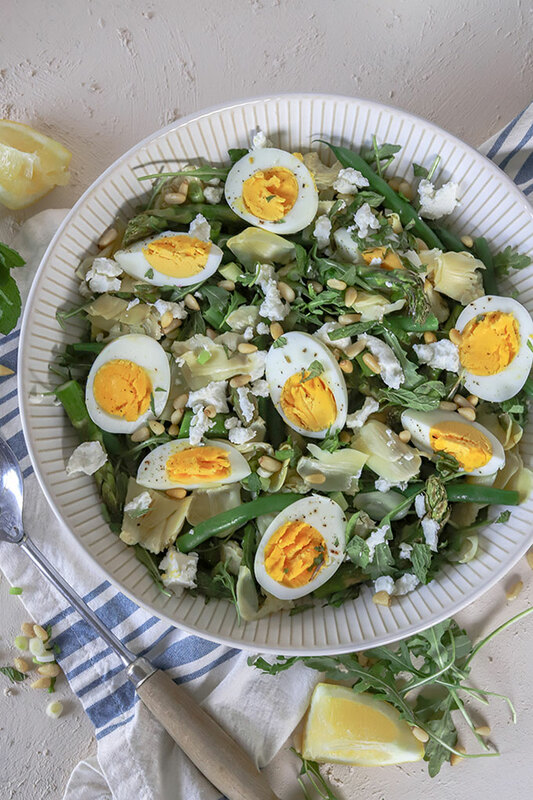 This artichoke salad aka 'spring salad' combines the freshest spring ingredients to bring a beautiful balance, fulfilling salad! 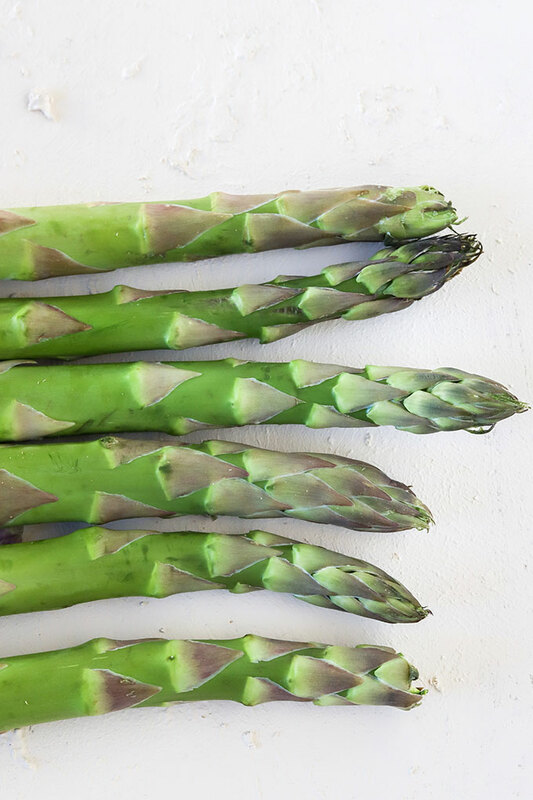 Place asparagus in an ovenproof dish and drizzle with 1/2 tbsp of olive oil and some salt and pepper. Bake 15 minutes until asparagus starts to get golden and slightly soft. Remove and cut into 2"/4cm pieces. Fill a medium-size saucepan with cold water and add a pinch of salt. Add eggs and bring to boil. Once boiling, turn off heat and leave to sit on the hot pan for 10 to 12 minutes. Remove eggs and run under cold water. Then gently peel and slice eggs in half lengthways. In the last 3-4 minutes of cooking the eggs, place green beans in the hot water with the boiled eggs and blanch. Run under cold water with eggs to stop the cooking process. Place arugula/rocket in a large salad bowl. Drain the canned artichokes (don't wash, it reduces the saltiness of the salad) and gently squeeze out any excess water. Use hands to gently tear asparagus into pieces. Place artichokes in a salad bowl, then add roasted asparagus and green beans. 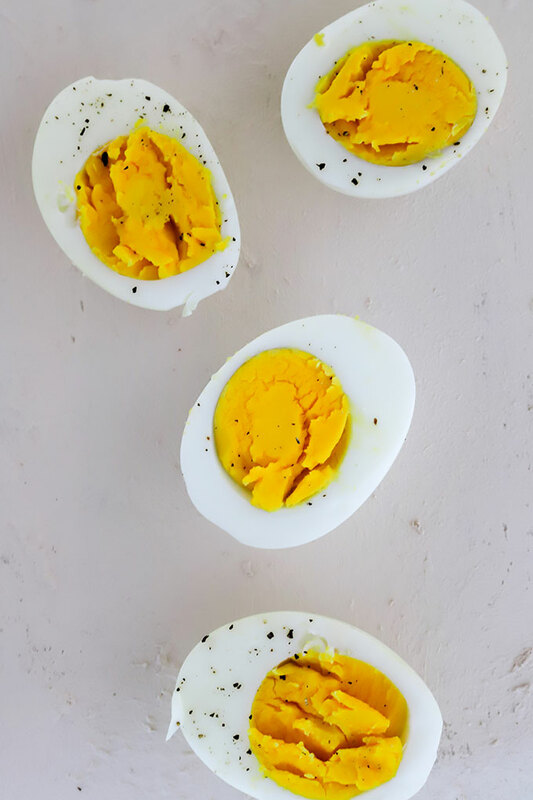 Arrange the hard-boiled eggs so that they look pretty! Sprinkle over green onions, mint, and pine nuts. Finish by adding about half of the goat cheese. You want to pick off just small pieces from the log and sprinkle it roughly through the salad. Add a squeeze of lemon juice and toss. note 1 - this is a good-sized handful of green beans. I blanch then roughly slice into 3 equal sizes, or in half depending on how long the beans are. note 2 - most goat cheese that I've seen here come in 4oz packets, you'll use about half to 3/4 depending on the size of your salad and love for goat cheese! In Australia, they come in about 120g packets. note 3 - I use the lemon juice as a dressing. I used about a 1/4 of a lemon then added more if I wanted it. Don't go overboard too soon, you can always add more, but can't subtract it! This recipe originally appeared on THCK in April 2017 and has since been changed slightly for extra deliciousness! Any plans for Spring? What foods are you loving at the moment? The way he sleeps is just too cute! He melts my heart!!! Wow, this looks so fresh and healthy! Yum! Thanks Rachel! it’s a new favourite in our household! Looks amazing. This recipe sounds so simple and light – perfect for a summer dinner on a patio! Pinning! Love the goat cheese on this! So perfect for spring! Thanks Corrine, def agree I love goat cheese! Thanks Kelsie, and so agree I absolutely LOVE the Flavor Bible, best book I have on my shelf for sure! This would be so perfect for Easter brunch! sure would! it’s so light and fresh! I’m so glad it’s *almost* Spring! Not only is this salad gorgeous it has all of my favorite foods! I’m not even sure where to begin! I’ll begin by making it this weekend. isn’t spring produce just amazing!!! i absolutely adore the food this time of year! this looks like it could be a summer staple, which makes me long for warmer weather to kick in already p plus, goat cheese is everything! i LOVE goat cheese! adds just that extra level of awesomeness to the salad! i am so looking forward to warmer weather too! Archie is such a sweetie! 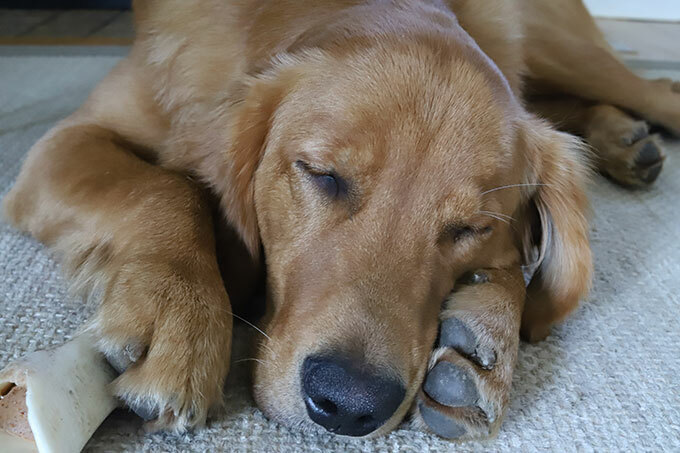 My parents raised Golden retrievers for over 30 years! This salad looks amazing! Such wonderful flavors! What a fresh & beautiful salad! This would be great for an easter brunch, or for a light dinner. Even better, it would be great to have for a ladies lunch! it would be perfect for a ladies lunch! thanks Kaitie! we had it for dinner the other night with a piece of steak and it was beautiful! That Salad looks lovely and delicious!! Adding the eggs make it so filling too!